Membership Connections: Did You Know? There's still time to join colleagues at ISTAT Americas, the premier not-for-profit industry event for manufacturers, appraisers, financiers, lessors, airline personnel, fleet managers and remarketers, 28 February - 1 March at the JW Marriott Desert Ridge. 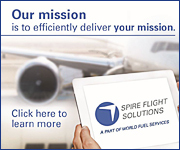 Why attend ISTAT Americas? 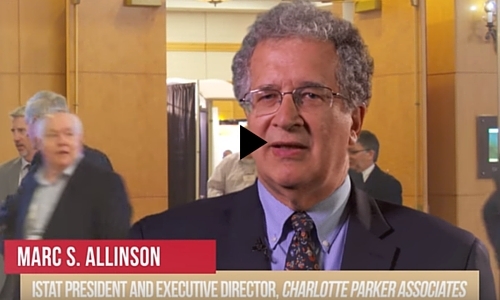 Watch the video below to hear Marc S. Allinson, ISTAT president and executive director, Charlotte Parker Associates, share how the combination of education and networking makes attending ISTAT Americas a valuable investment for your business. Embark on a one-hour flight over the immense Grand Canyon on Sunday, 28 February. Overwhelm your senses with the incredible views of this massive natural wonder on a Q400 from Bombardier. Flights depart from Scottsdale Municipal Airport (SCF) with transportation to and from the JW Marriott Desert Ridge included. All proceeds support the ISTAT Foundation. Follow @ISTATNews for the latest news about upcoming ISTAT events. Tweet about your experiences at ISTAT Americas using #ISTATAmericas. Continue the networking before and after the conference by joining ISTAT on our other social media channels: Facebook, and LinkedIn. Need a place for a meeting or to charge your phone? Stop by The Hub to discuss business needs with exhibitors or lounge around the campfire and network with colleagues. The Jet Fuel Café will feature complimentary, specialty coffee drinks and comfortable seating. Join manufacturers, appraisers, financiers, lessors, airline personnel, fleet managers and remarketers for ISTAT Asia, Tuesday, 17 May - Thursday, 19 May at The Grand Hyatt Tokyo. Gain key insights on industry topics pertinent to the Asian market, and engage with peers from around the globe at several unique networking events. Register by 15 March to receive the early bird discount of up to up to $500 off your conference registration. Reserve your housing at The Grand Hyatt Tokyo. Reservation cut-off is 25 April 2016. The ISTAT Foundation is committed to supporting the education and development of individuals who wish to pursue a career in aviation. As such, two unique programs have been developed to foster this commitment. This program assists aspiring aviation-focused university students by matching them with internship opportunities at ISTAT member companies. Students receive real world experience, career development and a stipend from the Foundation while member companies receive talented, motivated, qualified interns and future employment candidates. Potential employers have the opportunity to post an open summer or long-term internship position on the ISTAT Foundation Internship Portal. Visit www.istat.org/internships for more information. Launched in 2015, ISTAT University is a specialized course designed for students wishing to become part of the aviation finance and trading community. In collaboration with Embry-Riddle Aeronautical University (ERAU), Daytona Beach, this program provides an overview of the many facets of the aviation finance and leasing industry and exposes students to real world concepts and methodologies. 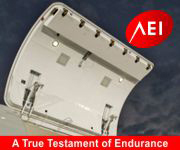 Course materials have been developed by ERAU faculty working in partnership with ISTAT industry practitioners. Starting in the fall, ISTAT U will be available to qualified students from around the world by way of a distance learning, web-based course offering. Applications for the online program are now available. Know a university student who may benefit from one of these programs? Encourage them to learn more by contacting the ISTAT Foundation at istatfoundation@istat.org. In the Winter 2015 edition of Jetrader, we caught up with John Grant, senior analyst, OAG, the market leader in aviation data and analysis, to hear how big data is changing the aviation industry. 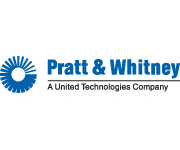 "One of the great challenges of the aviation industry is not only the consumption of all that data but creating intelligence and valuable information from which a ROI can be expected," Grant said. The digital edition of Membership Connections is also a great advertising opportunity for additional exposure. Last year’s directory averaged more than 24,000 page views, more than 9 minutes spent reading and 1,000 clicks on links. To find out how you can participate, please contact Erik Henson, Media Director, at +1.352.333.3443, or at ehenson@jetrader.org. UPI Research and development of humanoid robots for use in complex manufacturing is to be conducted in a joint European and Japanese robotic program. Manufacturing.net The Israeli company, Urban Aeronautics, has developed a drone called "Airmule" that is part helicopter, part hovercraft. IndustryWeek Civilian drones are increasingly becoming a "real and growing threat" to the safety of commercial aviation, the International Air Transport Association warned Monday, calling for regulations to be put in place before any serious accidents occur.